I have finally found the perfect dining chairs. I just have to travel about 6 hours one way to get them. So that will cause me to wait until I can get everything in place. The scary part about waiting is that these chairs are sold out in every store and only two stores still have them. It quite okay. I dont want to go completely broke buying dining chairs because the likely hood of me having another dinner party real soon is high. Currently, my dining area is dark and sophisticated. 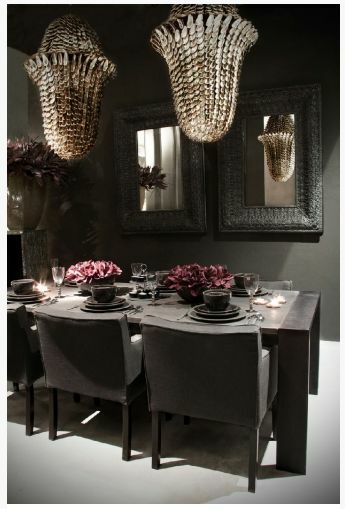 Here are are a few other dark dining rooms I think are amazing. 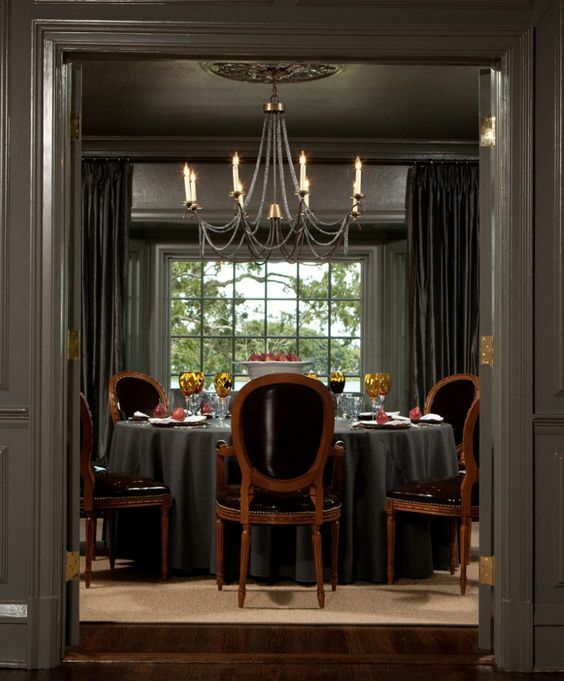 If you are looking for gray dining chairs, here are a few excellent options. 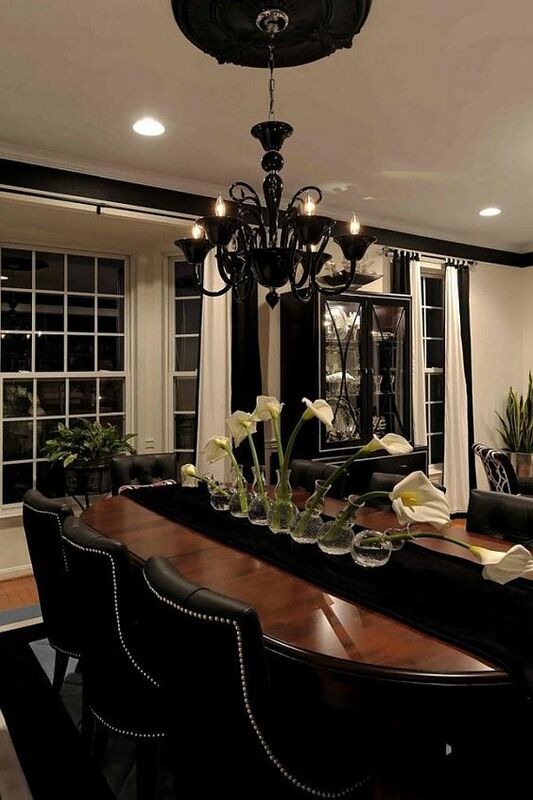 All of these dining rooms are amazing. 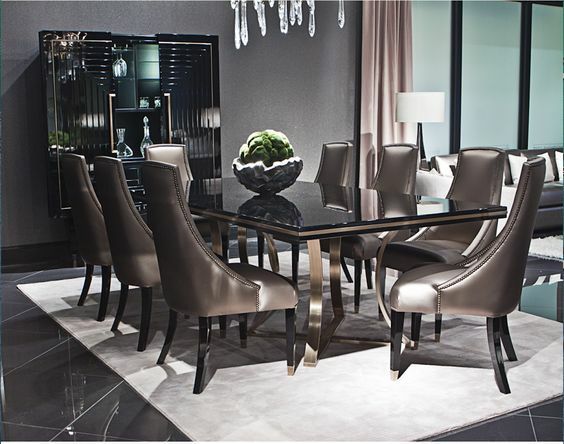 I am so excited to go pick my dining chairs, hopefully they are STILL available.